David Wallace started upgrade class on the Monday, Jan. 30th! David tells me his class is one week long, followed by an oral. Seven simulator sessions in the BE-1900D. His checkride might be all in the simulator, or possibly 85% in the simulator, and 15% in the plane. IOE (initial operating experience) will follow, and finally his Fed ride. What Captain advice do you have for David? David, you’re going to make a Great Captain! Keep me posted on your progress. 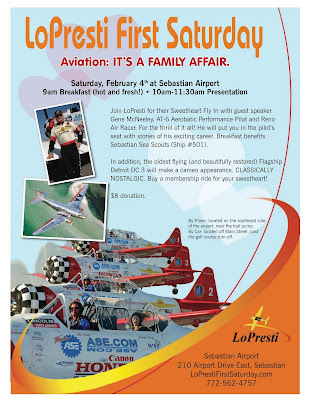 It's a Sweetheart Fly-In and you're invited! If you can't read the details, click HERE for more information. I'm going to be at a Bug party so I won't be able to attend, but I know everyone will have a fabulous time! "Make time and do it today. This moment may be your last opportunity." A flight to someday lands at an airport called nowhere. This is a place where tomorrow never comes. You wake up, and tomorrow is always a day away. Talk about baggage fees. 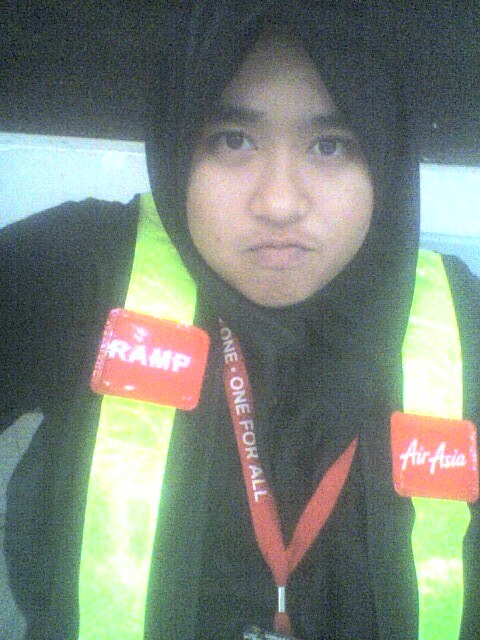 Carry your baggage on this flight, and you’ll be paying for the rest of your life with regret. This year is dedicated to doing something each month that I've wanted to do, but keep putting off until next week, or month, or year, because the timing isn't right, and the scheduling hasn't worked. Sometimes, you just have to make it work. It's well worth it when you do. So what do you get when you cross a Delta FO, with a WASP, a USAir Captain, and a Mesa Captain? After I spoke at Nelson middle school at Impact Day, I flew to the airport and hitchhiked to Arizona. Two days off and I made the most of them. I met the most wonderful people filled with the greatest hospitality! Nancy's family was great and welcomed me to their beautiful home. Mary was so much fun to laugh with. Betty was a hoot! 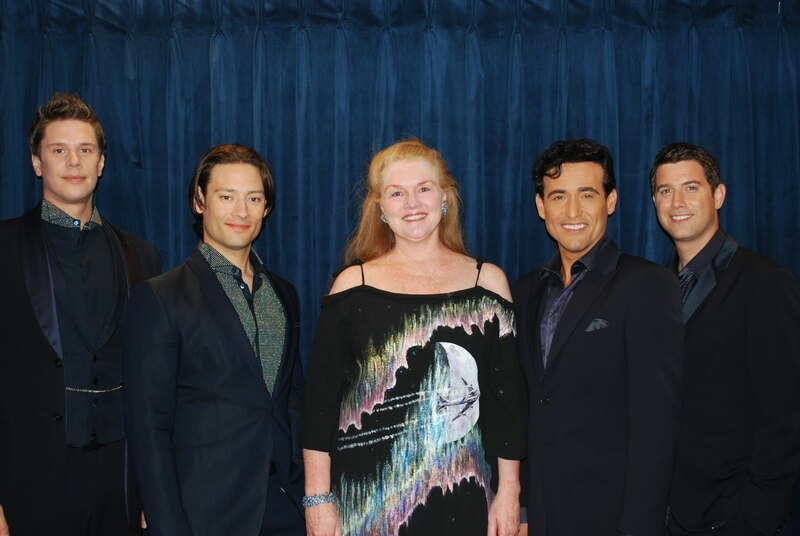 If you don't know Betty Blake, click HERE. She's 91 and was one of the first WASP. 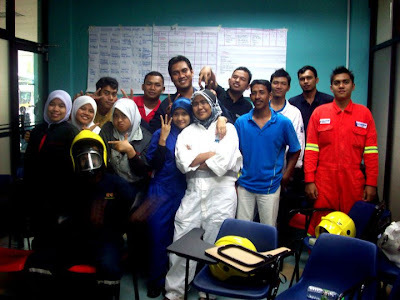 She is now the last in her class still with us. But that could have something to do with her attitude. Nancy took me for a hike to Pinnacle Peak. It has been many years since I'd hiked that trail. And the amazing thing is, Nancy and I were both hired by America West Airlines within the same time frame. She was on the line. 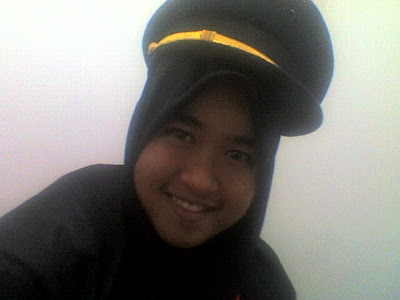 I was in the school house. So sad our paths never crossed before, but they were bound to. I'd heard there was a UsAir pilot helping Betty on her days off. But months later a woman contacted me because of my connection with Medicine on the Move. Nancy and her friend Gina, who is an amazing woman, wanted information on MOM to help out. Gina is a hospice nurse going beyond the call of duty. She would love to go to Ghana and lend a hand. Nancy contacted me about that connection, and realized I'd done a blog on Betty. I soon learned that she was the woman helping Betty. We've been trying to make it happen for me to go down that way for months. It was time to just do it. I'm so glad I did. 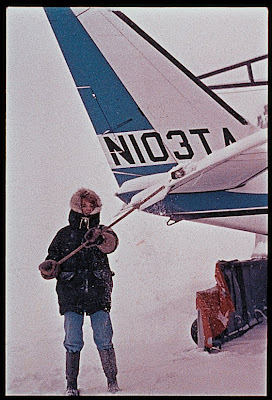 Betty said, "I'd always wanted to go to Alaska, and Africa." The reality is, she wouldn't be making it in this life. Don't put off your dreams, because you may run out of time. Make them happen sooner than later. What have you been putting off that you should just do before it's too late? Norah’s life began the day she ran away from home to the top of Mt. McKinley after she’d learned her husband had filed for divorce, after three weeks of their working apart, and his girlfriend had become pregnant. In hindsight, I don’t believe Norah was running from anything. I think she was being pulled toward her destiny. She’d been crushed and ready to make a change in scenery. 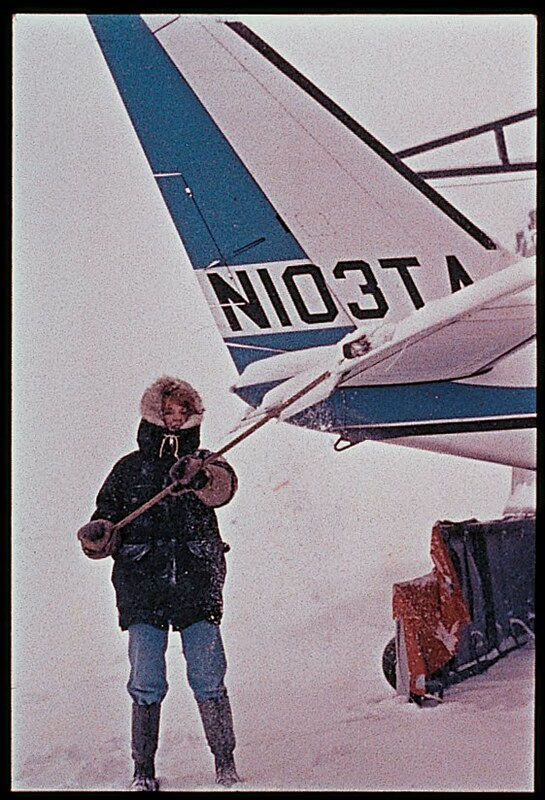 Norah jumped at the chance to fly north and become part of a modeling shoot for skiwear. An avid skier herself, this was exactly what she needed. 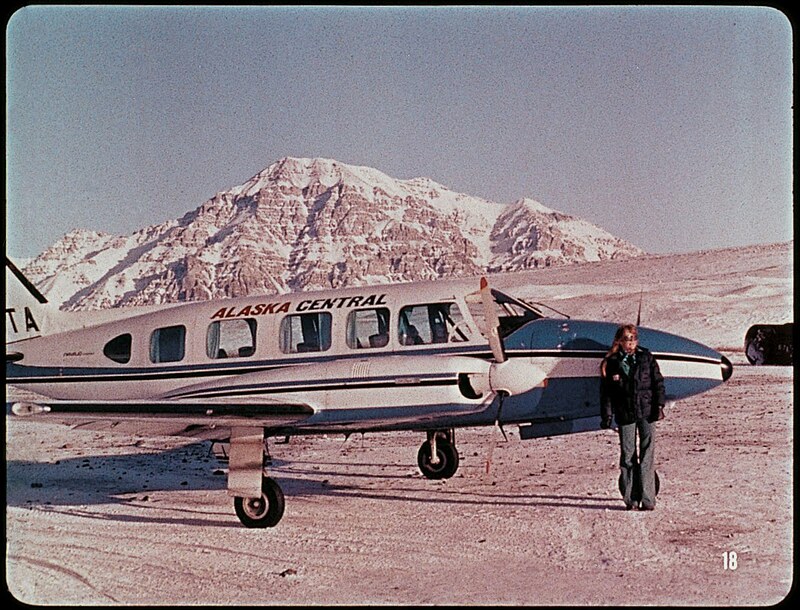 Being airlifted to the top of Mt. McKinley, for the five-day skiwear shoot, appealed to her on every level. 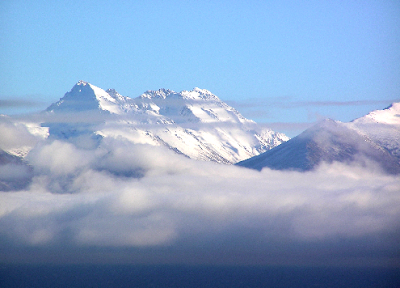 But it wasn’t until she was leaving the mountain, would her life change forever. Having flown up the mountain laying down in the cargo compartment, strapped down with the cargo, Norah insisted on sitting in the cockpit on the flight back down. That flight changed the course of her life. It gave her direction and focus. This is how Norah’s aviation adventure began. 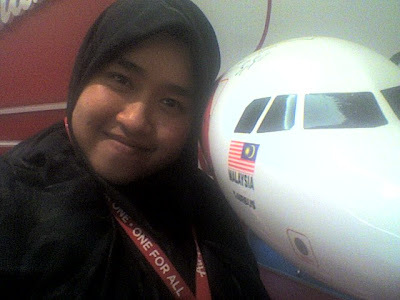 23-years-old, and no home to return to, she’d made her decision to learn to fly. She found a nighttime job in Kodiak Alaska’s most prominent bar, frequented by prostitutes. She worked all night, slept for a few hours in the morning, and took flying lessons in the afternoon before she went back to the bar to work. Living in a furnace room of an old house, she exchanged housework for rent, so every penny could go to the airport. 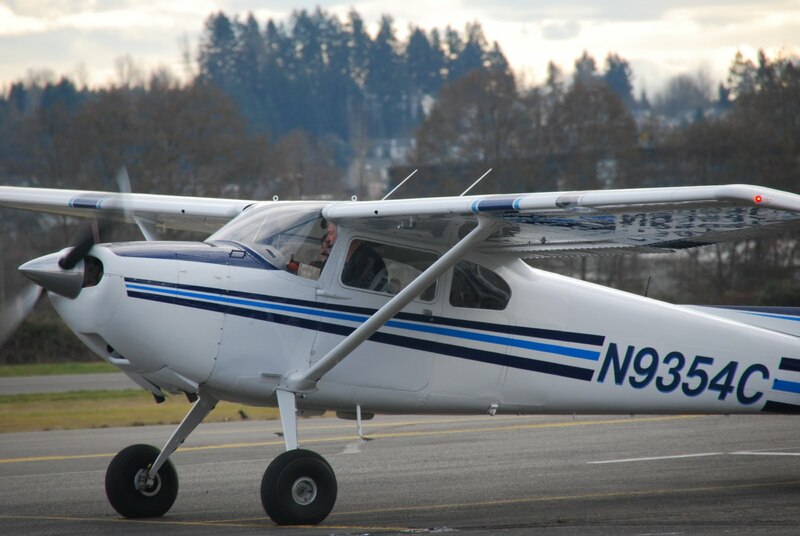 She learned to fly, became an instructor, then became a charter pilot. 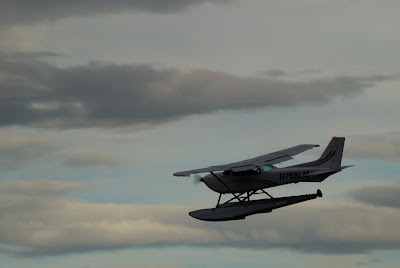 For those of you who’ve flown in Alaska know that this type of flying either ends in death, or becoming an extremely competent pilot. Norah survived. 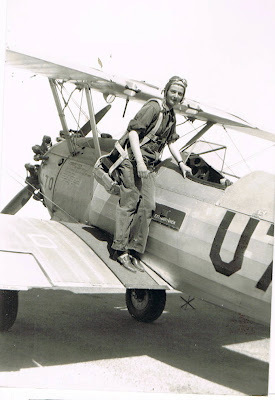 She survived equipment failures, fatigued-filled hours of flying all night through the mountainous terrain in IFR conditions, and the torment of being a woman breaking into the male domain. To say she wasn’t accepted would be an understatement. 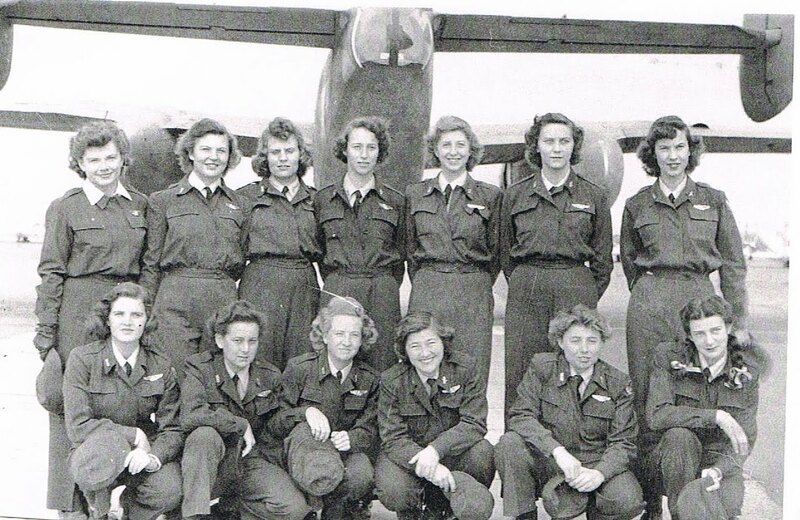 Norah was breaking ground for all women pilots to come. 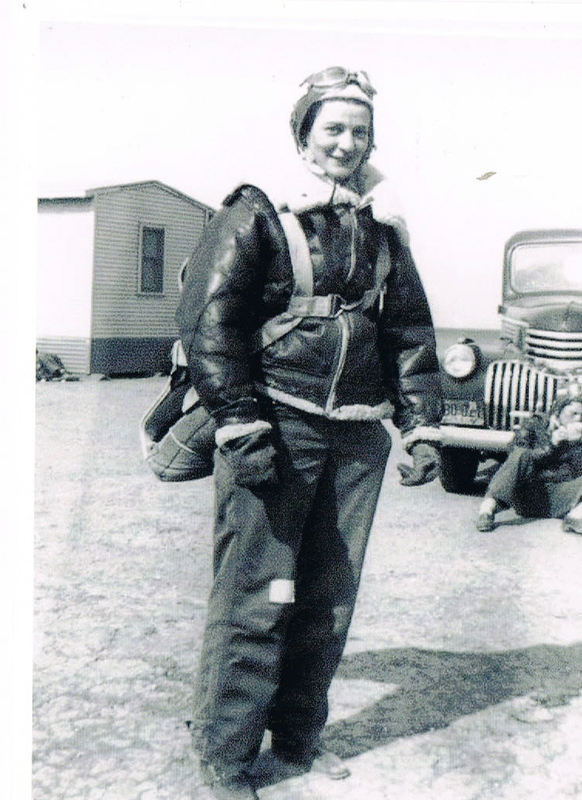 She eventually departed her Alaska job after she was hired by Flying Tigers—their first woman pilot. To say the boys embraced the concept of a woman would be a lie. They embraced the challenge of trying to drive her out. She was known as C-1, and the stories Norah tells in her book Flying Tigress, will shock you, make you cry, laugh out loud, and you will understand what my early predecessors went through. I know C-4 at Northwest, and those days were not fun for the ladies. But they survived, and they did make a difference for the rest of us. Those shocking stories, they're all true. And this is where truth is stranger than fiction. Flying Tigress is one of the most captivating books I’ve ever read. It carried me down memory lane, and unearthed memories that I’d forgotten. 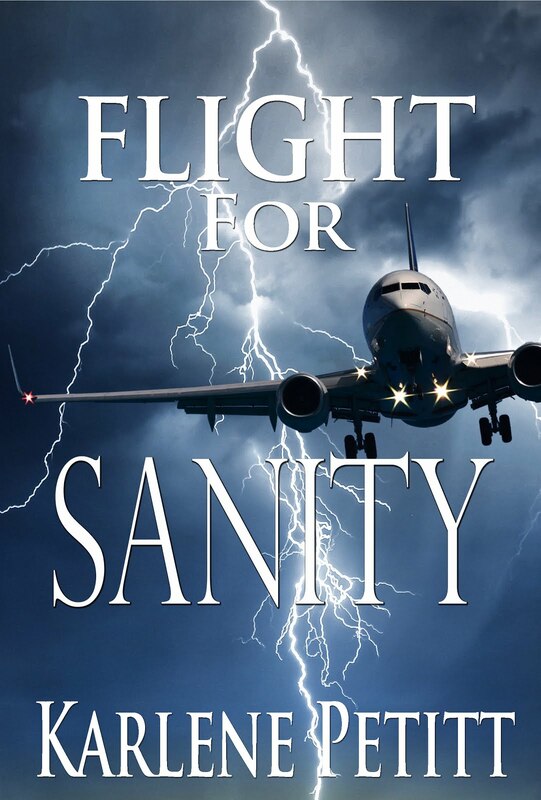 Norah’s prose takes you into the cockpit for an instrument approach into Hong Kong, just as if you were there. If you love aviation, you will love Flying Tigress. Share a piece of history. 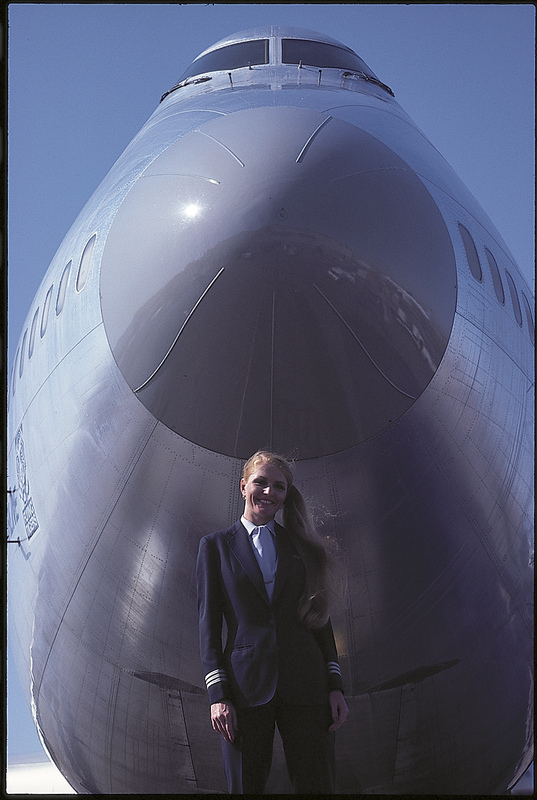 It's a tribute and honor to the ladies who paved the way into the commercial airline world. 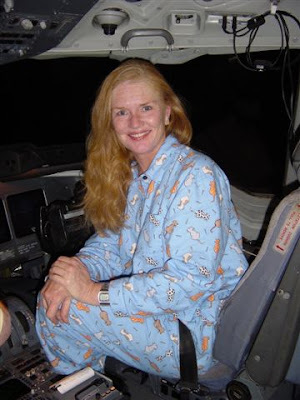 I laughed at Norah replacing the penthouse photos with playgirl in the cockpit. I did the same at Evergreen. The long nights. The laughter. The tears. The death of friends. She’s seen it all. She struggled with balancing motherhood and flying, marriage and trust. She fought with loneliness, the need to love and to be loved. Her story is honest, open and riveting. 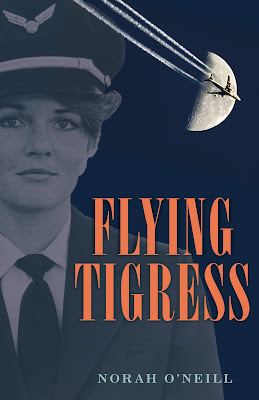 Flying Tigress is a story of adventure, humor, heart-break, sorrow, strength and survival. It’s beautiful. Her life was an adventure. We fly for many things. Sometimes we end up soaring the world in search of meaning. Sometimes that meaning is in our own back yard. We give our life to the lust of Aviation, and it strips us of everything. But it also gives back so much more that it takes. Norah, it's an honor to know you. 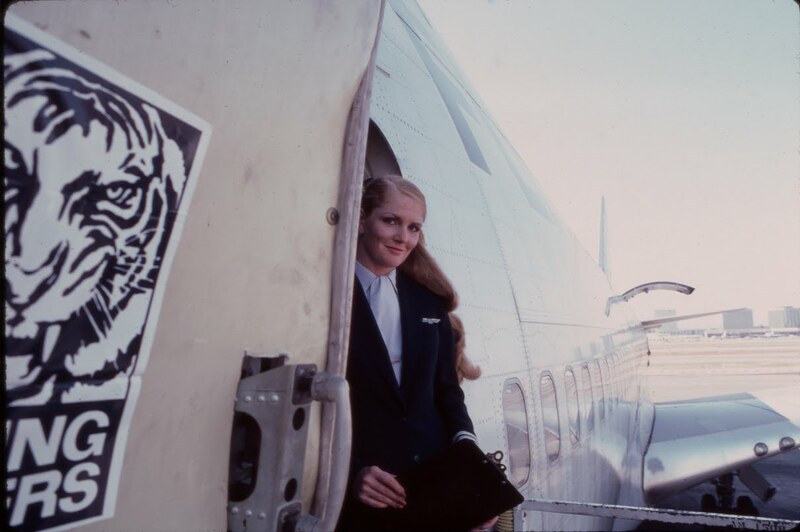 On behalf of all the women pilots, we thank you for opening the doors and standing strong while they were slammed in your face. You did make a difference in this life for many. Thank you. Brett Stokes is working with a group of technology experts on a possible solution to promote, increase, and support General Aviation. They are gathering information from pilots, travelers, and aviation enthusiasts to identify and define the market’s desires for travel. The link at the end of this post will direct you to a ten-question survey that will help Brett and his team make some final adjustments to their design. The more feedback they receive, the better they’ll be able to cater to your needs. You didn't know you had needs. But trust me, this is something we all need. Please contact Brett if you have any questions. He’ll provide updates as they near completion and, at that time, will share more about the aspects of this technology. They’re keeping it quiet now, but this is something that all pilots can use… worldwide. I know what Brett’s doing, and I can hardly wait until they’re up and running. Who will this technology help? Pilots building hours—Business Travelers—Commuting Airline Pilots—People living in remote areas—Airports—Aviation—General Aviation... and more! Click on this link: Tired of Driving When You Could Be Flying? Take the survey, it will cost you about two minutes of your time. Then forward this to everyone you know. This is going to go global. You don't even have to be a pilot to use it. If you travel... this is for you. But if you are a pilot, you'll love what he's doing. Thanks Brett! I know the endeavor will be a success. I only hope bring it to market sooner than later. I have Obstructive Sleep Apnea and I use a CPAP machine nightly. What’s the risk if I don’t take my CPAP machine with me when I go out on trips? Volumes of literature now exist regarding Obstructive Sleep Apnea (OSA) and its associated risks with heart and stroke disease, mental confusion, chronic pain and fatigue. Reducing those risks for pilots and the general population by using Continuous Positive Airway Pressure (CPAP) is also well documented. For people who feel a dramatic benefit, the desire to use their CPAP machine on a nightly basis is welcomed and reinforced. Nonetheless, traveling with a CPAP machine, as small as they are, can be an obstacle to traveling light, and going through security screening makes it one more thing to carry. With 7% or more of the population having some degree of OSA, the FAA recognizes this as a serious problem. 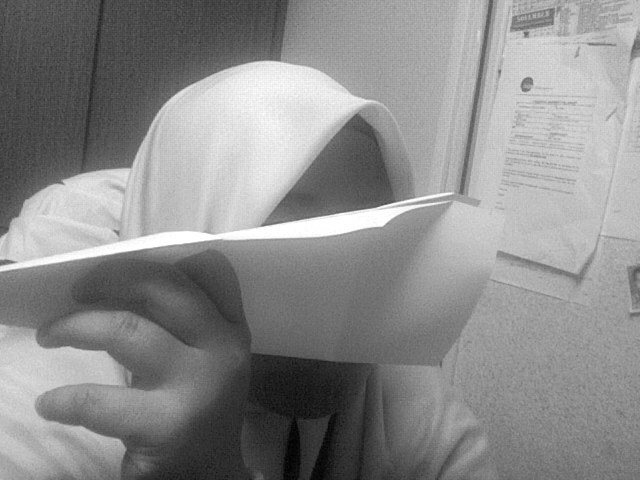 Combined with irregular hours, long duty days and time zone changes, the effects of nocturnal hypoxia become magnified. The question is best answered from a study undertaken a year ago by Malcolm Kohler, M.D. and reported in the American Journal of Respiratory Critical Care Medicine, August 11, 2011. They studied 40 patients who effectively used CPAP for over 12 months. When the study began, half of the 40 continued their CPAP as prescribed while the other half used sub-therapeutic CPAP levels. The following factors were evaluated before and after the trial: Epworth Sleepiness Scale tests, blood pressure, heart rate, vascular function and blood lipids. After only two weeks, the results showed statistically significant differences in hypoxic events, a rise in morning blood pressure, heart rate, and daytime sleepiness. It was not associated with psychomotor changes or cholesterol levels. Dr. Kohler concluded that withdrawal of CPAP was associated with a return of OSA by the first night. We know risk is relative. Someone placed on CPAP for problems such as chronic fatigue, mental confusion or daytime sleepiness is unlikely to have severe recurrent symptoms overnight. However, if one has significant underlying cardiovascular disease, a night or two of stressful sleeping because of hypoxia may be enough to push one's body over the edge. 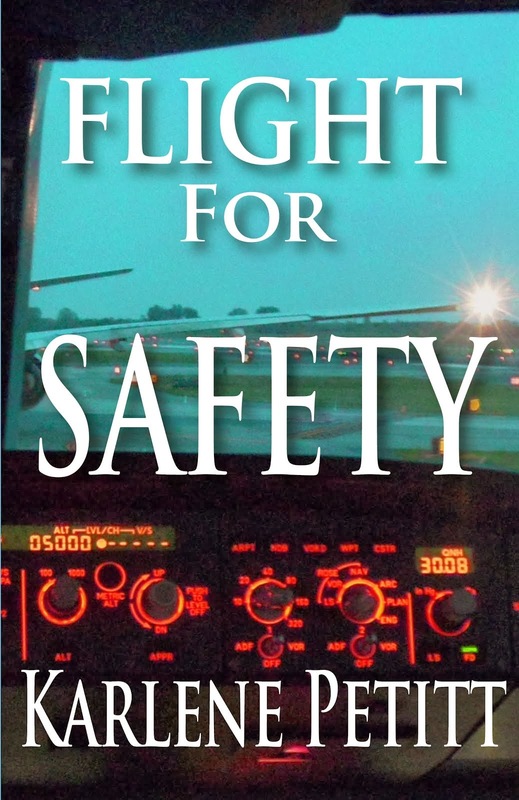 FAA's guidelines mandate a minimum six hours per night and 75% to 85% nightly usage. Thus, some leeway exists for not having perfect compliance. Perhaps this makes the idea of CPAP more palatable because even though the benefits of CPAP are great, some effort is involved to be compliant. Any level of sleepiness while flying is not ideal so minimizing the chance of drowsiness makes 100% compliance the best option. "Concierge healthcare that's all about you! " The Brains of the Computerized Airplane. The Flight Management System, FMS, is comprised of 2 FMGEC—Flight Management Guidance Envelope Computers. Inside each of the FMGEC computers lay the operating systems that manage our A330. FMGEC: Flight Management. Flight Guidance. Flight Envelope. Computers. FM: Flight Management—The on-board computerized Dispatcher responsible for flight planning, performance, navigation, and communicating data via the PFDs, NDs, and MCDUs. FG: Flight Guidance—The on-board, computerized pilot responsible for commanding the autopilot, flight directors, and authothrust. FE: Flight Envelope—The on-board, computerized Flight Engineer, responsible for computing the flight envelope, maneuvering speeds, reactive windshear detection, and gross weight and CG computations and warnings. Under normal operations the two FMGECs work together. Data entered into either MCDU (Multipurpose Control Display Unit) is shared with the other computer. They work together, and just like other glass planes there is a master. The selection of the A/P or A/T (first on) will determine which FMGEC becomes that master. If one FMGEC has a problem, the other can handle the operation, but the pilot must switch control on the Switching Panel. No automatic switching of a FMGEC computer. 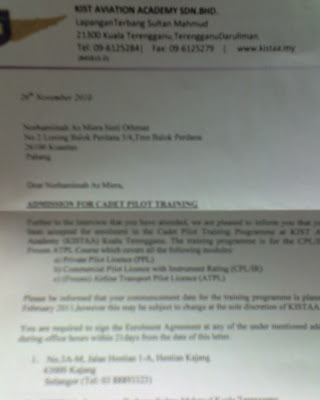 In the example below, the number 2 FMGC failed and the pilot selects both on 1, and now the First Officers MCDU interacts with the number one FMGEC. MCDU: Pronounced the McDoo, is your Multipurpose Control Display Unit, called a CDU (control display unit) on the Boeing. 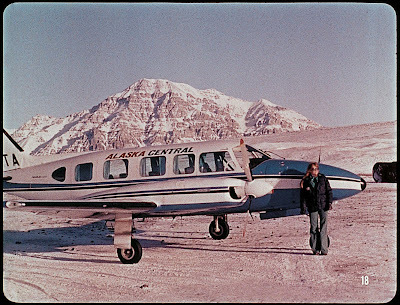 The long-range goal is to get to the destination, and this computer airplane can do that itself, with a little help. 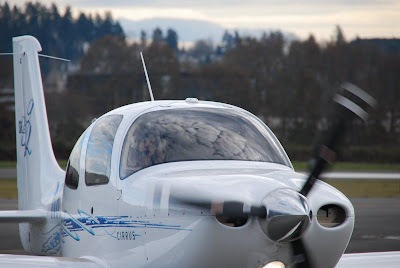 By programming the MCDU, the pilot can set up the plane for success to takeoff, climb, manage speed, level off, descend, and fly an arrival to an auto-landing at destination. Flying the plane in this automated manner is all about utilizing Managed Guidance—the operation is fully automated and the computer is directing the plane. FCU: The Flight Control Unit is nothing more than Boeing’s MCP (mode control panel). This is where the pilots intervene to deviate from their original programmed plan. ATC wants you to slow down, turn to a heading, or gives you an unexpected level off, this how you'll manage the flight. Or, the pilot just wants to fly their plane. When we intervene, we use Selected Guidance—The pilots is commanding the plane. Normal operations is to fly the plane with a combination of both. 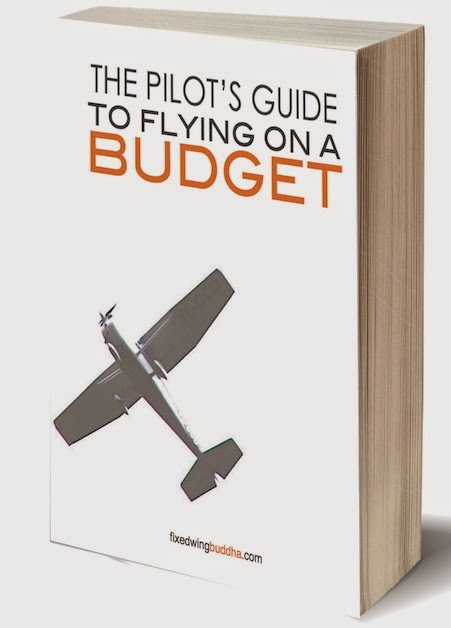 Many pilots rely on the managed guidance. Smart pilots takes control and use selected guidance, to keep proficient at their flying skills. There is nothing you are facing at this moment...No challenge too great, obstacle too high, road to long, or ocean too wide... that we can't find a solution to brighten your day. Whatever is bothering you...shift your focus and change your state, you'll continue on your quest and embrace this day. Look at problems as challenges. Challenges are opportunities to learn, and grow. Fact of life: You get what you focus on. If you're focusing on something negative... you need to break the pattern. Turn on the music, do the dishes, go flying, hit the gym, etc., it's amazing how better you'll feel by getting out of your own way. Did you know that I am taking an instrument ground school class twice per week? I'm also writing about each class at Flying Training. If you're interested in flying little planes in the clouds drop by and check it out. Earn $15,000 USD/month + overtime based on 80 hours per month. Earn an additional $150 USD per every hour flown over 80. VOR Holdings will also pay you $8,000 USD at the end of your 1st year, $12,000 USD at the end of your 2nd year, and $15,000 USD at the end of your 3rd year. Your total compensation for three years is $575,000 USD+. After completing your three year contract, you will be given the opportunity to upgrade to the A320 aircraft at the airline's expense. You have the option of working a 6 weeks ON, 3 weeks OFF or 6 weeks ON, 2 weeks OFF + 24 days of additional leave per year schedule. Interview in Charlotte, Phoenix, Chicago or Beijing. December 15, 1920 history was being born in Bradley Beach, New Jersey, as Bernice “Bee” Falk made her entry into the world. There’s no mystery to the impact on a child when they receive support and encouragement. Bee was fortunate to grow up under the wings of strong role models. Men who supported and encourage their women. And women who set great examples for their children. Bee had a grandmother who dabbled in the stock market, a man’s job. 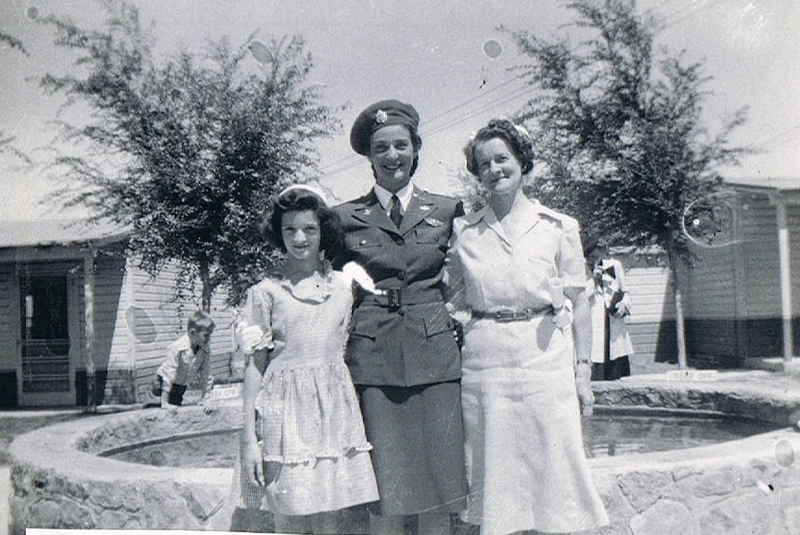 Her grandmother on her mother’s side started a pleating and embroidery business. Bee’s mother established branches of the family’s hemstitching and dressmakers’ supplies business…later to own a lingerie shop. When Mom’s business closed, due to the depression, she opened the Montclair Employment business. This is a family of entrepreneurs making life happen, despite all obstacles. Thanks to this industrious family, growing independent women, Bee’s dreams were limitless. Success was written on the horizon. But opportunity is not always given. Sometimes we have to make it through adversity. Standing at the auxiliary field a distance from Avenger Field in her fleece lined helmet and pants. 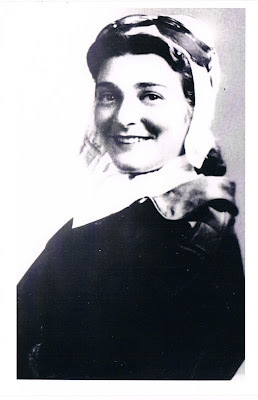 Growing up in Montclair New Jersey, Bee graduated from high school 1938. Unfortunately the reality hit strong when she realized there was not enough money to send both she and her brother to college. Despite the strength and support within her family the rest of the world hadn’t caught on yet, and the jobs available to women were secretarial and she didn’t need college. 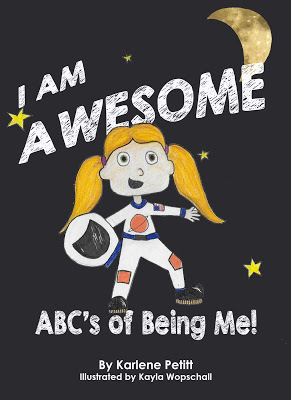 Bee’s brother would be the child to attend college, while Bee went to work as … guess what? A secretary. The jobs came and went. But it bothered her that she didn’t have the opportunity to attend college. You know what she said? 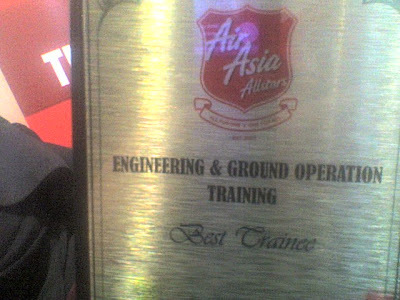 Bee decided to attend night school and soon learned that they had courses in Aviation. With her Brother in Army Air Force, she wanted to do something to support the war effort and she enrolled in aviation courses. Wednesday, February 9, 1944 her journey began as she headed to Sweetwater Texas to learn to fly. But today her Journey continues. What inspires Bee? I’m not going to share any more of Bee’s story with you. Why? I couldn’t do her life justice, but her book, Letters Home, will. Bee’s mother saved every letter her children sent to her. 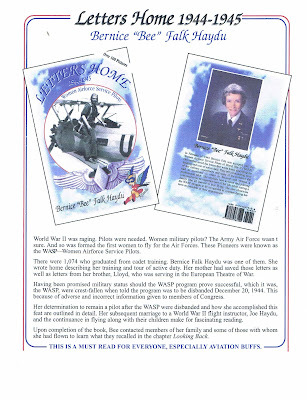 The candid humor, language and stories she shares of her adventures, challenges, hopes and dreams during her flying experience from 1944-1945 are enclosed in Bee’s book. Not to mention the photos! I felt like I stepped into another world. Bee inspired me to write a historical fiction novel. The story came to me in my dreams the night I’d finished her book. You too will be inspired by reading Letters Home. Bee donates "all proceeds" to Texas University, Denton, Texas. What defines a person’s life? 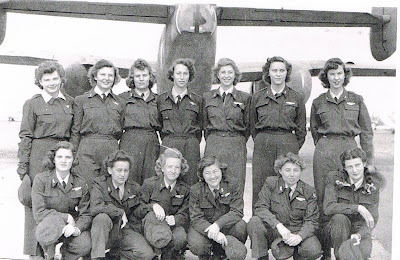 In 1977, the WASP finally received recognition as veterans of World War II. Bee was instrumental in making this happen. The struggles were many, and the team of women, and men, who contributed, as well as their efforts, can be read in Letters Home. The story is amazing. 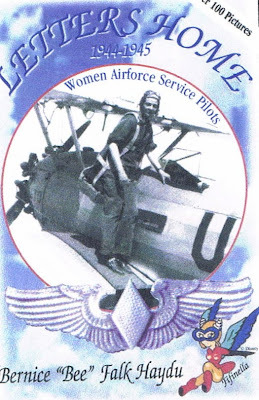 What I will tell you is, the plaque for Bee Falk Haydu hanging in the Aviation Hall of Fame & Museum of New Jersey is well deserved, as is her Congressional Gold Medal. Bee in the forward right. Standing in front of the B-52. Bee’s life touched me, in many ways. I smiled at her attitude in training, because I share the same perspective. I felt her fear, joy, and challenges, as if they had been mine. Had I been born 42 years earlier I would have met Bee in WASP training, and we would have become life long friends. Toward the end of her book, I discovered Bee has three children born in ’52, ’53, ’54. My three were born in ’83, ’84, ’85. Her husband owned racehorses. My husband owned racehorses. As a matter of fact, Bee’s friend Jockey Eddie Accaro… (a great story in the book) My husband knew of him, and remembered his visit to Long Acres Racetrack in the late ‘50s. Life is a journey where people and paths cross. Lives are touched. Dreams are created. Passions are lived. Opportunities taken, or given up, create different flight plans. Sometimes they take us to the sky. But at the end of the game we all get to sit back and review the movies of our life. It’s up to us to make them the best they can be. Who would know that the baby girl, born in December of 1920, would impact the world on such a grand scale? Bee Faulk Haydu is an amazing woman, and the story of her life is remarkable. If you read anything this year, this is it. 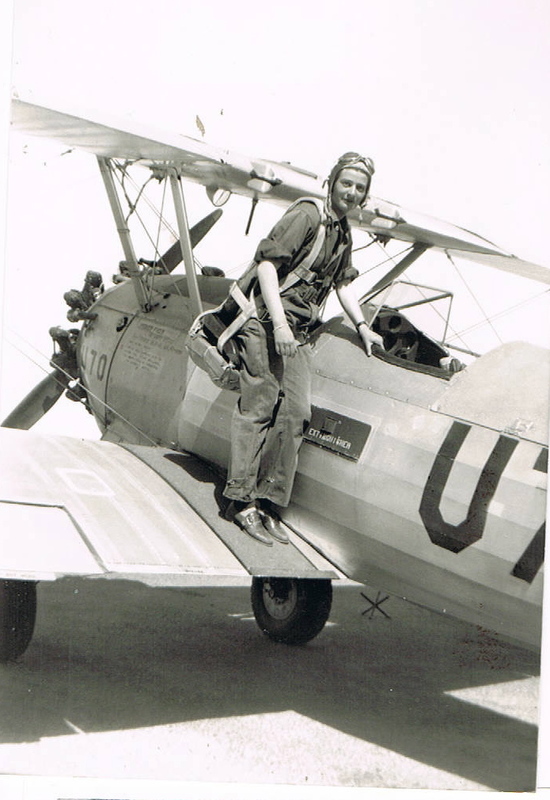 Thank you Bee, for all you’ve done for aviation, women, history, and our country. 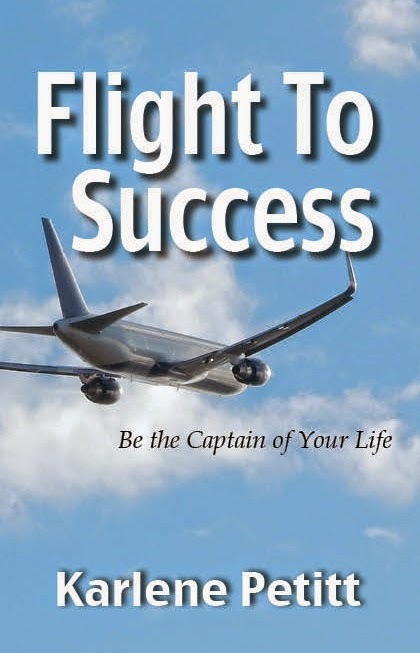 I'm honored to share your story on Flight to Success. EIS. DU. EFIS. DMC. PFD. ND. ECAM. E/WD. SD. One of the more confusing things about understanding a glass airplane is learning the terms. But learning the fundamentals is the foundation to success. EIS: Electronic Instrument System. Imagine this system as the brain of the flight deck that communicates and manages the data by displaying navigation, flight, engines, aircraft systems, and associated messages on six display units. This system also provides instrument switching when display units fail. These six identical display units, known as DUs are used to display ECAM, and EFIS information for both pilots. PFD—Primary Flight Display—displays heading, attitude, altitude, airspeed, vertical speed, and autoflight status. ND—Navigation Data—Displays navigation data in various formats, depending upon the selection on the EFIS control panel. ECAM: Electronic Centralized Aircraft Monitor—Display engines data, fuel quantity, flap position, messages, checklist information, and aircraft systems on two DUs. E/WD—Normally on the upper ECAM—displays fuel quantity, slat and flap position and alerts and caution messages. SD—System Display—normally on the lower DU—displays aircraft systems, status messages, and secondary flight data. ECAM control panel—used to manage data on both the E/WD and the SD. This is just a taste of the flight deck. But once you know what terms mean, you'll be able to gain deeper understanding of the systems and how they work. The proof to Flight For Control arrived yesterday afternoon. The UPS driver battled the snow on the holiday and drove his own car to make this delivery. Holding my book in my hands was something that I'll never forget. Nothing short of spectacular. It's one of those moments like passing your checkride, holding your baby after 9 months of pregnancy and 18 hours of labor, or receiving your college diploma. You've worked so hard, for many months or years. You've invested so much in time, energy and resources. And you did it. You had a dream. It became a reality and then you're ready to celebrate. But the reality is... the baby's diaper needs to be changed. Back to the perfectionist part. My novel is here. The bio page is missing. It wasn't long until I discovered Princess turned into a Prince, and there was no surgical team involved. A sentence needed to be moved in chapter four. A whisper came at the wrong time. The moral of this story, I am not answering my phone, and sitting by the fire while the snow falls beyond my window and will have the edits complete tomorrow, for another upload. And proof. Yes, I am a sick, sick perfectionist focused on detail. But then, that could be a good trait when flying planes. 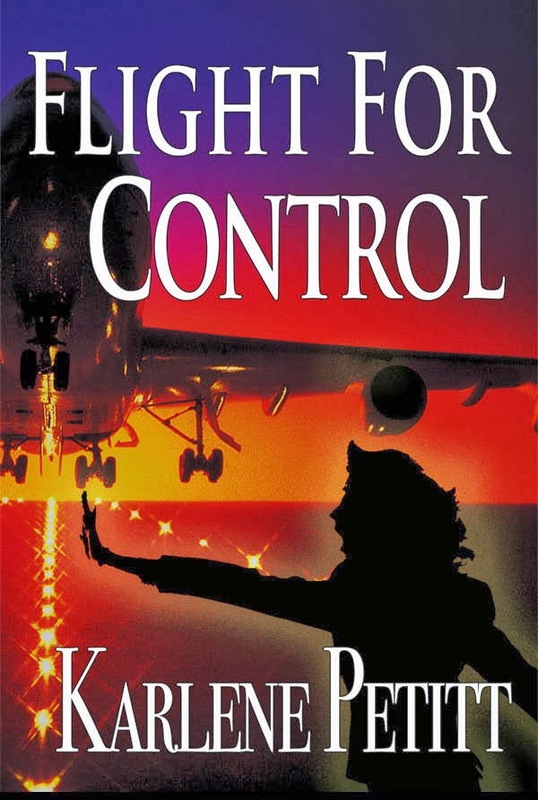 Flight For Control will be available next week! Remember, good things come to those who wait. It's been 2 and a half years. I know we can wait another week. Note: The photos were out my window. The birds danced for joy as they dined on seed. You can tell by their size, they're not starving. I had about twenty (plus) of these little guys jumping from the branches to the bird feeders all day. Today through Wednesday? Estimating 6-11 inches of snow in the Seattle area. Winter is here... and I had already bought sleds for the kids. Life is good. The disappointment today is my "proof" for Flight For Control is scheduled to arrive after 3 p.m. ... Unless UPS doesn't deliver on a holiday... and I have Instrument ground school tonight. So my reading won't begin until tomorrow morning. I was hoping to have my novel in my hands Saturday, have it read and able to approve by today. Plan A didn't happen. My much anticipated "go date" for my novel's release may not make it's 17th debut. But like all good things, they come to those who wait. It's also been 2 years 6 months, what's another few days? I have infinite hope that it will come, all will be perfect and I can shout about the release sooner than later. How will you deal with the little setbacks of life? It never ceases to amaze me the difference between company procedures and manufacturer procedures. I’ve worked for 8 airlines, and maybe one day the two will match. But operationally speaking, it’s nice to know what our planes can do, performance wise, from the people who build them. With the great fortune to live in Seattle, I have local access to the best of the best Boeing people. 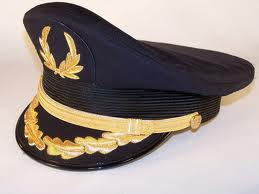 But flying the Airbus, I reach beyond my neighborhood and consult with Airbus representatives, a senior Airbus Check-airman, and miscellaneous Captains—my team. I’m thankful to have the opportunity to consult with them on actual operations of various performance issues, and captain decision-making questions. Brainstorming before the event is always a good idea. 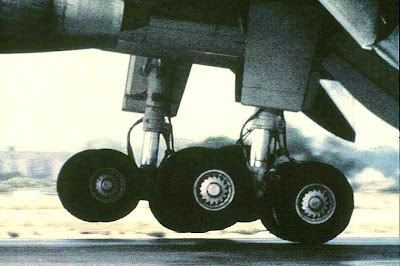 Overweight landing, and the need to perform an auto-land, or not. Airbus says, "there is no need to perform an auto-land with an overweight landing." This is good to know. It would be a shame to not take advantage of a long runway because the ILS was down. A long runway with a heavy airplane is always the best. Then, there is also the choice between low verses medium auto-brakes. I was reminded that the autobrake setting is a deceleration rate. The heavier the plane, the system will be using more brake pressure to stop at the same “decel” rate as when lighter. Noting since we have a higher approach speed, it takes more distance to slow down at the same rate. One thing to keep in mind is for medical emergencies so you can drop off your passenger and get on your way quickly. Excellent advice. Does Airbus recommend managed speed for an overweight landing? YES: Managed speed is recommended. What Does Your Company Say? Then there is also the question of deviating from your company procedures. I think we all will do whatever it takes to save the plane if in imminent danger. But what if following the procedure is not unsafe, but in your view, a different course of action would be better. Can you do it? What will the FAA say? What will your company say? What will you say during your rug dance? Share your thoughts, we would love to hear. And, I have the "FAA" answer to the will you be violated question. To be posted next week. The beginning of a new year is often a time for making (and breaking) resolutions. While scanning the internet, I discovered the following resolution on a top-secret, AME chat board somewhere in cyberspace (yeah, right), and I'm sharing it now with the aviation community as a way to help build camaraderie between aviators and AME's. After all, pilots need AME's and AME's need pilots. “I, (enter your name here), will work together with my AME to facilitate my medical certification in the most expedient manner possible. This will include filling out my FAA 8500-8 medical form online least 24 hours prior to my appointment. I will arrive on time and bring all sets of glasses necessary to pass my vision testing. I will be forthcoming with all necessary paperwork and doctor’s notes my AME will need to process my certification. 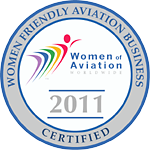 If I have questions regarding issues which could result in possibly delaying my certification. I will contact my AME prior to my appointment to resolve these concerns rather than hoping they will vanish into thin air. Furthermore, I understand my AME will do everything in his power to assist with my certification and I will (begrudgingly) understand if something unexpected arises delaying the process. I will know my AME feels my pain and wishes his hands were not restricted by the regulations. After my AME has waved his magic wand and pronounced my verdict, I will (begrudgingly) pay his fee, without asking for discounts and I will promote his job-saving skills to my peers. "This I promise to do in the New Year!" Together we can make it a win-win relationship by helping each other. Fly safe and fly healthy, my dear aviator friends, and Happy New Year! 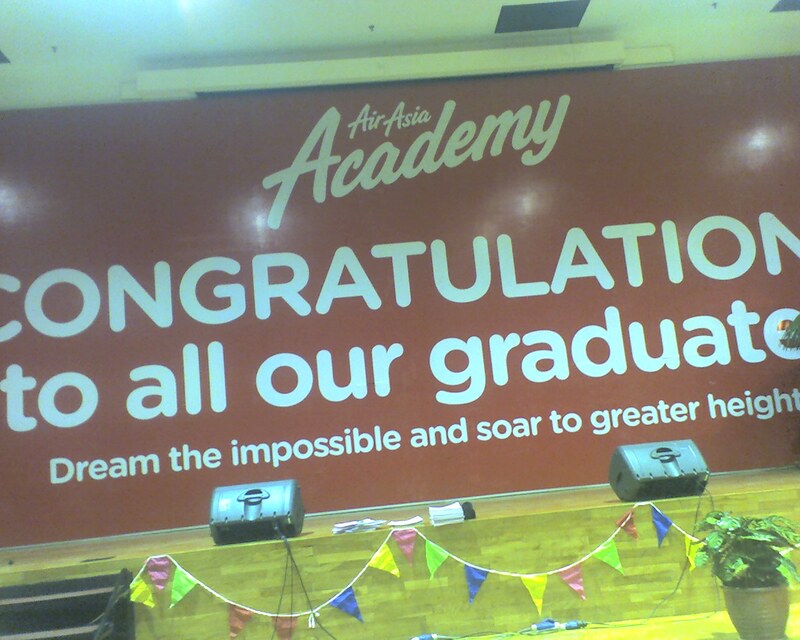 To your good health, happiness and certification! Please leave Dr. Larry a message that you will fulfill his New Year's wish! "I promise Dr. Larry...but what about that pilot discount?"